FC Barcelona Regal became the Top 16 Group F champion by topping Caja Laboral Vitoria 83-74 in an all-Spanish League showdown at Palau Blaugrana on Thursday. Barcelona won its 10th straight game and improved to 11-1 to seal first place in Group F with two games remaining. Vitoria dropped to 6-6, but retains its chances to make it to the playoffs in what promises to be a close race until the end of the Top 16. Erazem Lorbek paced the winners with 16 points, Ante Tomic tallied 14 points, 8 rebounds and 4 assists, scoring king Juan Carlos Navarro recorded 14 points and 6 assists and C.J. Wallace came off the bench for 13 points in 13 minutes on perfect shooting. 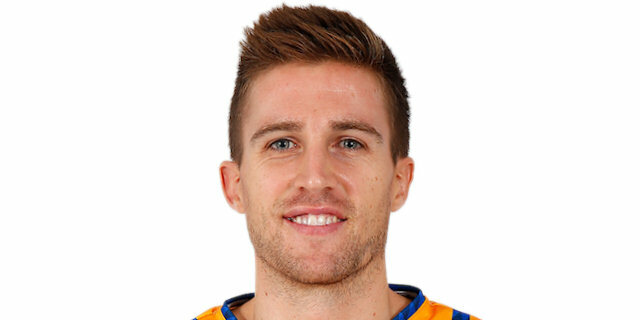 Maciej Lampe carried Caja Laboral with 21 points, Andres Nocioni added 11 and Thomas Heurtel 10. Barcelona shined on defense early and Wallace had 6 points late in the first quarter to give the hosts a 18-12 edge after 10 minutes. Barcelona's second unit - Victor Sada, Wallace and Marko Todorovic - took over in the second quarter to extend their team's lead to 15 before it settled at 42-32 at halftime. A rain of three-pointer and an unstoppable Lampe allowed Vitoria to rally and get a 52-53 edge late in the third quarter. However Lorbek and Navarro fueled a 9-0 run that gave Barcelona a 5-point lead entering the fourth quarter. The visitors kept it close and came within 2 with less than two minutes to go, but the hosts finished strong to clinch the win. A minute of silence took place before the game to honor former Barcelona player Joan Todoli, who passed away Wednesday at the age of 69. Juan Carlos Navarro got Barcelona going with a three-pointer from the top of the key. Vitoria was held scoreless for almost two minutes until Fabien Causeur stepped up with a fast break layup. 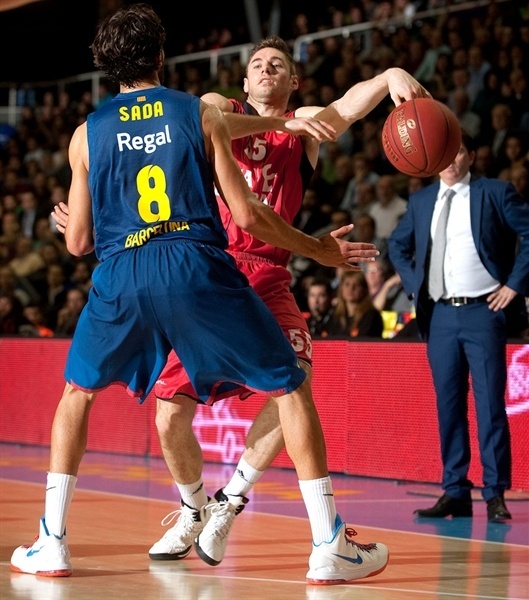 Marcelinho Huertas fed Ante Tomic for a backdoor layup, as Lorbek headed to the bench with 2 quick fouls. 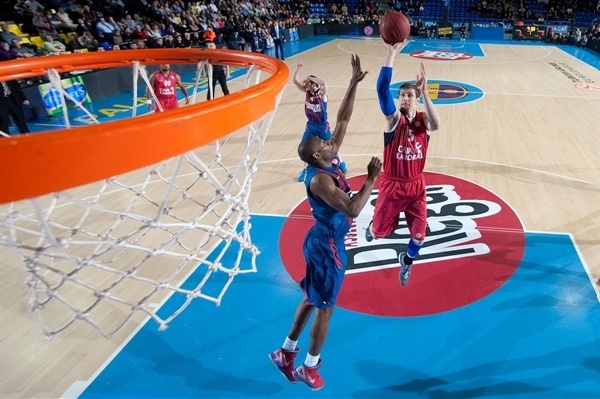 Barcelona kept missing open shots and a close basket by Milko Bjelica kept Vitoria within 5-4. Pete Mickeal got the crowd involved with a coast-to-coast layup off a steal, as the guests kept struggling to find the way to the basket and took many off-balance shots. Nemanja Bjelica tried to change things with a put-back layup, but a jumper by Tomic restored a 9-6 Barcelona lead. 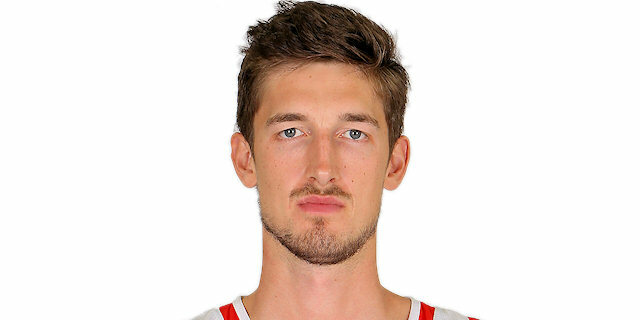 Tibor Pleiss shined with a tip-in that brought Vitoria within 9-8. C.J. Wallace struck from downtown and Victor Sada ignited the crowd with a layup-plus-foul. Thomas Heurtel followed a layup with a six-meter jumper. Free throws by Wallace gave the hosts an 18-12 edge after 10 minutes. 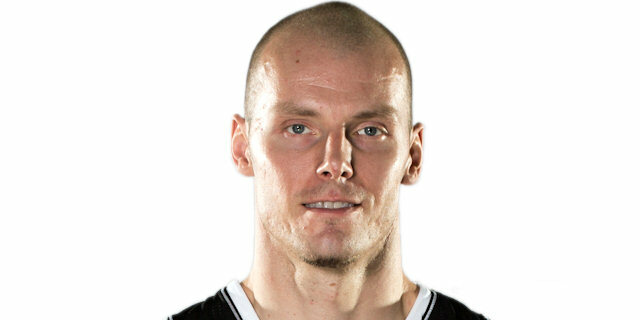 Nate Jawai dunked early in the second quarter, but a turnaround jumper by Lampe kept Vitoria within 20-14. Jawai took revenge with a two-handed slam. Nemanja Bjelica followed an off-balance triple and the free throw that came with it with another three-pointer to bring Vitoria within 22-21. 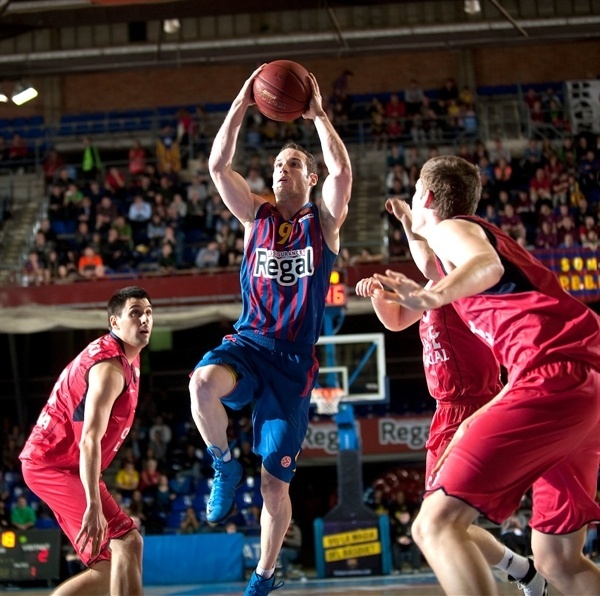 Sada hit a jumper and Wallace downed one from beyond the arc to give Barcelona a 27-21 edge. Sada fed Wallace for a layup. 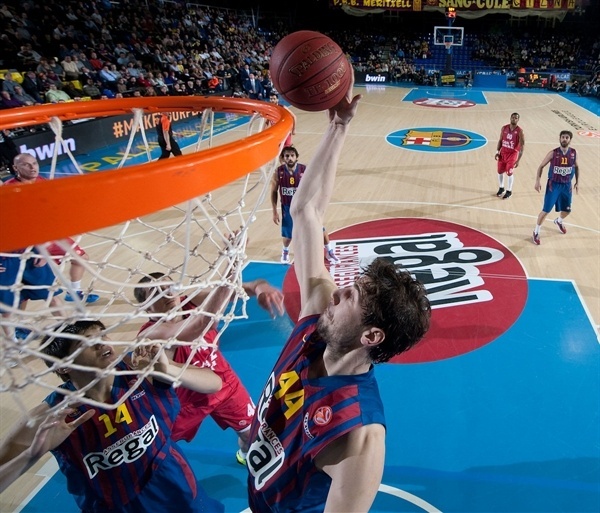 Lampe dunked, but a jumper by Tomic boosted Barcelona's lead to 31-23. Omar Cook found Lampe for an uncontested slam, which Marko Todorovic erased with a put-back basket. A layup by Joe Ingles made it a double-digit game, 35-25. Fernando San Emeterio scored around tshe basket, but Navarro did it from downtown to cause Coach Zan Tabak stop the game at 38-27. Huertas found Todorovic for a backdoor layup and a one-handed jumper by Tomic broke the game open, 42-27. A three-pointer by Nemanja Bjelica and a buzzer-beater jumper by San Emeterio brought Vitoria within 42-32 at halftime. Lorbek scored again early in the fourth quarter, but Lampe buried a close jumper to keep Vitoria within 63-58. 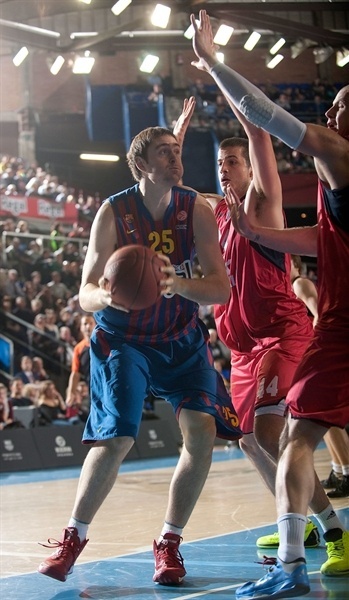 Barcelona struggled to score and free throws by San Emeterio and Lampe brought the guests even closer, 63-61. An unstoppable Lorbek ignited the crowd with a three-pointer, as Barcelona improved its defense, forcing Vitoria to use long possessions. 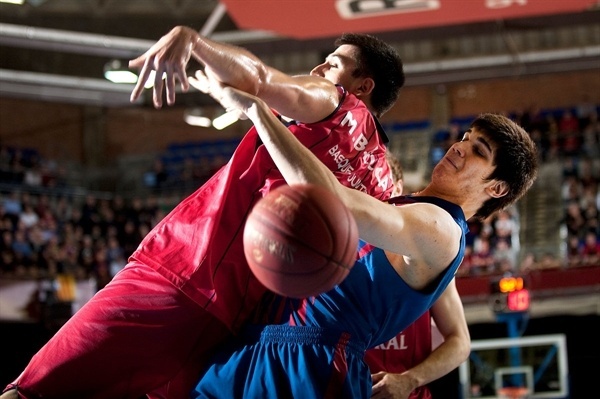 Xavi Rabaseda also struck from downtown to boost the hosts' lead to 69-61 with seven minutes to go. Lampe scored down low and traded layups with Tomic. Lampe further trimmed the difference to 4 from the line. But a Lorbek jumper and Jawai’s strip of Lampe inside restored the hosts’ control. Sada buried a long jumper with 3 seconds left on the shot clock to make it 75-67. A pair of buckets from Nocioni made it a 5-point game with three minutes to play. Heurtel silenced the Barcelona crowd with a big three from the corner with 99 seconds remaining, 76-74. Navarro restored a two-possession edge with free throws. After Nemanja Bjelica missed from downtown, he fouled Tomic on the last second before the shot clock expired. 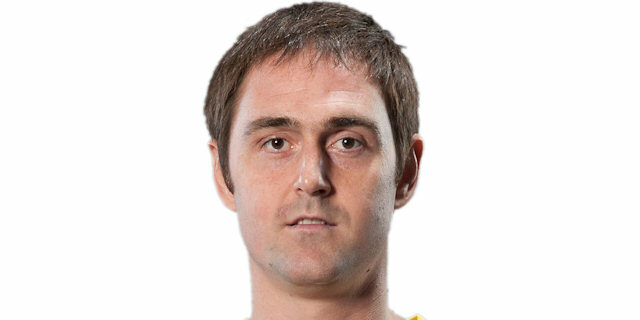 Tomic boosted the Barca lead to 6. When Heurtel missed a quick layup, the outcome was clear and Lorbek wrapped it up with a three with 21 seconds left. "We are happy with this win, which means winning our Top 16 group, achieving one of the goals we had this season. It was a good game for fans - good basketball, 83 points despite missing some open shots and making mistakes that could have given us 10-to-15 extra points. We limited Baskonia to a performance index rating of 65 and dished 27 assists. We started the third quarter without a good defensive spirit. Caja Laboral's three opening baskets after the break were in one-on-one actions. 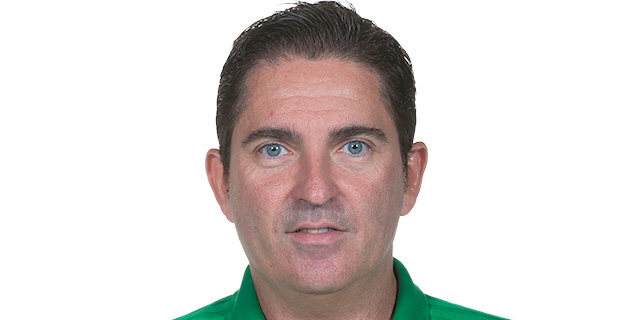 When Caja Laboral got close again, we worked well and passed the ball really well, took the lead and got the win. We had a good game from our power forwards, C.J. Wallace, Marko Todorovic and Erazem Lorbek. We have to get ready, avoid losing competitiveness and try to win both [remaining] games. We are eight days away from our next Euroleague game, but our work will be focused on the playoffs." "We made a lot of mistakes in the end, when we were in the game and had a chance to win. We struggled to control the boards during the game and missed too many layups. Our missed shots cost us 10-to-15 easy points. With this, it is not enough to beat Barcelona at Palau Blaugrana. Barcelona played well today. You need much more to beat Barcelona here. I hope we still have chances to get to the playoffs. Just as today, the intention is to our last two games, at home and in Russia. Rebounds and pick-and-roll with their shooting guards were key. We knew we had to defend that pick-and-roll, but I expected to control the boards much easier." " We made it. We are satisfied with today’s game. We still have games to play. Every game is very important for us to get in top shape for the playoffs. It was a really tight game. The players know each other. Tactically we know each other. We played many games against each other. So no team could escape. I think everybody contributed to this win." "Truth to be told, winning our Top 16 group was one of our goals before the season. We wanted to do a good job and try to get first place. We managed to do it two games before the end of the round. We are happy and looking forward to finding out our opponent. Sometimes things don't go as everyone would like and this is what happened today - the second unit did a good job. Sometimes things roll and everyone adds and it is positive. Some others, you have to take care of the dirty work and the team must respond the way it did today. Defense was the key, especially in the fourth quarter." "We started good. Then they started scoring and we couldn’t score. The game just ended so it’s hard to say. They played very good tactically. At the end we should have played longer and more under control when we still had a chance to win. We’re still in it and we need to focus on the next game." "I think this was a very important game for us. They scored some really important shots. We missed some really important shots. We have two more games that are really important for us. I think we have to fight; we have to find ourselves. We have to give everything for the next game. We have to prepare for the next game and have a chance to win the next game. "